Congratulations on deciding to get the child in your life riding. Choosing the right bike can be daunting. How do you strike the right balance between safety and fun? 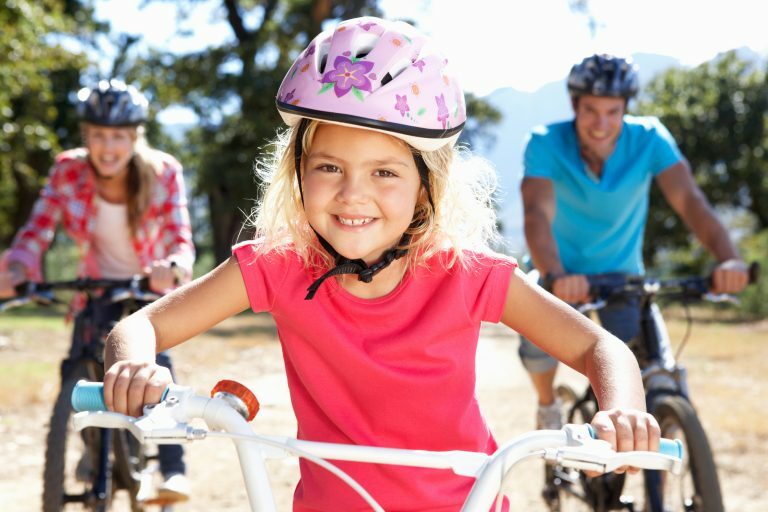 Read our tips to buying a child’s first bike, or download an information sheet. 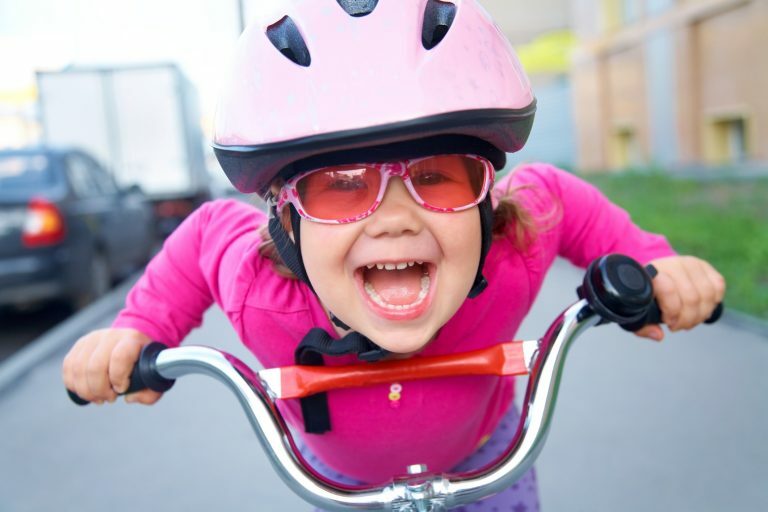 Choosing the style of a child’s first bike depends on their confidence, age and coordination. Designed for children 18 months to 3 years, they have no pedals and are move when the child to pushes with their feet. These bikes teach balance, movement and steering without having to coordinate pedals and brakes. Designed for children 2 and up who have developed better balance and motor skills. 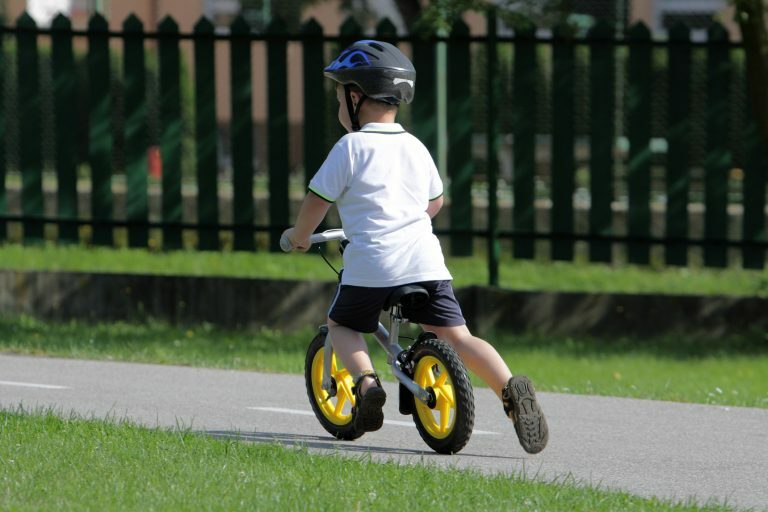 Children will need to pedal to make the bike move, but training wheels provide support to keep the bike upright and can be removed when you child can balance by themselves. For children who have developed the confidence and skill to ride a bike without training wheels. This level varies from child to child but is usually around five. Once you have chosen the right style of bike, it’s time to choose the right size. 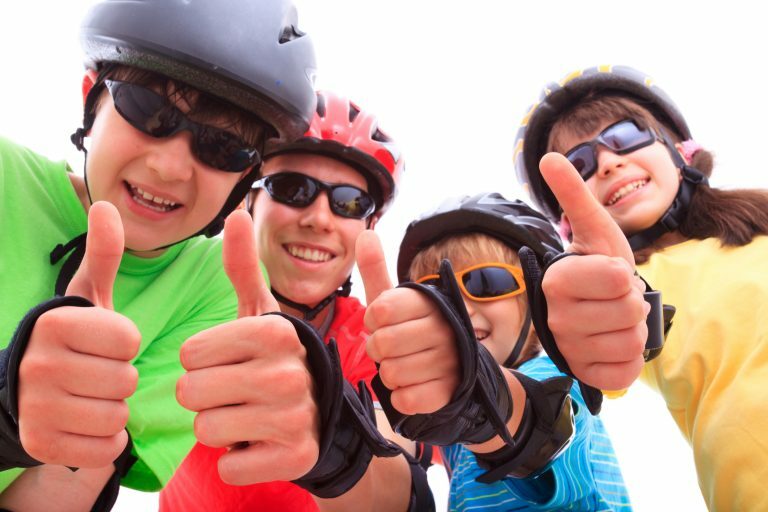 We recommend you take the child for a test ride first, and most bike stores are happy to help. straddle the middle of the upright bike with their feet flat on the ground, with a clearance of around five centimetres. not hit their knees or legs on the handlebars when riding. Their legs should have a slight bend when the pedal is at its closest point to the ground. 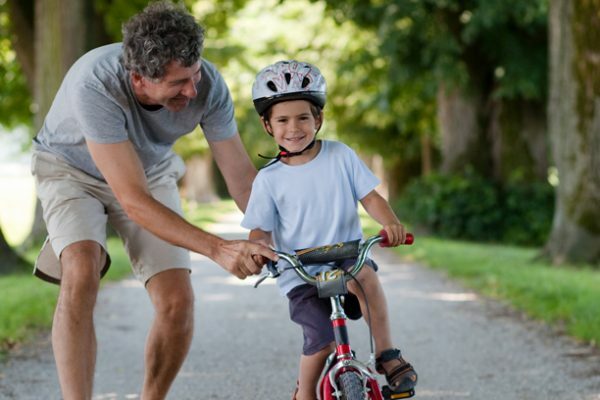 As the child grows, the adjustability of the bike seat and handlebars will ensure the bike can be used for longer. One gear is the standard for children’s bikes. As they develop and the bike increases in complexity more gears will be added to the bike. Depending on where your child will be riding, the tyres will be different. For new riders we recommend tyres with more tread, as they can handle rough terrain better i.e grass. Tyres with little tread are better for sealed environments i.e. roads, footpaths etc. There are 2 main types of brakes that are common on children’s bikes. Hand Lever - once a child has the hand strength, bikes are more commonly fitted with a hand lever. Used by squeezing on the lever. It is Australian law that all bike riders must wear a helmet. The main thing here is the 2 (adult) fingers rule. The helmet should sit 2 fingers above the eyebrows and you should be able to run 2 fingers under the chin strap. Also the triangles of your strap should sit underneath the ears. The overall cost of the bike depends on its features and the material it’s made from. Steel bikes are highly durable and can withstand most adventures children have, but they can be heavy. Aluminium bikes, weigh less, are durable but more expensive. Bicycle NSW recommends heading down to your local bike shop for advice on the right bike.